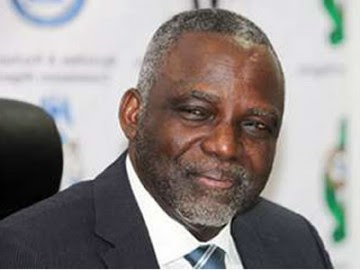 A former Minister of Power and Chief Executive Officer, Geometric Power Limited, Prof. Bart Nnaji, has warned the Federal Government not to contemplate taking over the management of the Transmission Company of Nigeria from Manitoba Hydro International of Canada, at the expiration of its contract next month. Nnaji, who spoke on the sidelines of the West Africa Power 2015 Summit organised by IRN in Lagos on Tuesday, said interferences from government officials had affected the work of the Manitoba personnel. The Federal Government had in 2012 signed a three-year contract for the management of the TCN with the Canadian firm after it emerged the sole bidder. The contract has an option of a two-year extension. The TCN is in charge of the transmission network, a critical link in the electricity value chain, but remains a weak link with a current wheeling capacity of about 4,800 megawatts, according to industry experts. The company was left out of the process that saw the successor generation and distribution firms unbundled from the defunct Power Holding Company of Nigeria handed over to private investors in November 2013. Nnaji said, “The TCN should never go back to government management. Government ownership, yes, but not government control. It is not a good idea. Private sector proper management, maybe. But giving out segments of the TCN on concession; yes, that’s better. The former minister stressed the need for the new government to have an effective way of ensuring that the country did not go back and forth in terms of power supply. “That the power that we have now can be sustainable and that we continue to grow it means that key issues of generation must be assured; that evacuation of the power must be there, and it requires that the government will put people who are absolutely thinking about the nation, not just in the Ministry of Power, but also in the other ministries. People who will work together to deliver,” Nnaji added. Highlighting the importance of regular gas supply, he said gas wells and infrastructure needed to be developed. He said, “In the next many years, 80 per cent of power will come from natural gas. So, we must continue to grow natural gas. I am not sure that whatever is released now is even going to be enough to go as far as we would want in the interim. To fill the country’s installed capacity, gas supply of up to seven billion scf is required, Nnaji said. He added, “In the next 10 years, we need about four times that amount. So, we need a lot of investment. The sector needs to be opened up for private sector investment in gas.